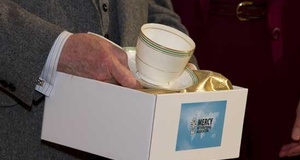 As a memento of his visit to Mercy International Centre yesterday, President Higgins received a cup and saucer once owned by Catherine McAuley. This gift was presented to the President by his cousin, Gabrielle Ryan rsm (Brisbane Congregation). The cup and saucer were accompanied by a carefully prepared card and explanation of the symbolism in Mercy circles of the 'good cup of tea'. A sequence of images of the presentation are linked to this news item. 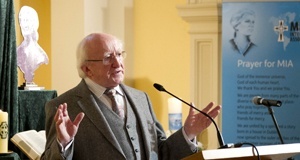 Image: President Higgins displays the cup and saucer in the specially designed gift box which featured the MIA logo. Helen sends her greetings to all of you from the intensive care unit at St. Clare's Mercy Hospital in St. John's, Newfoundland and Labrador. 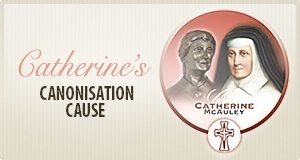 She thanks you so much for your concern and prayers and she knows you are visiting the canonization room, Catherine's grave and all the corners of MIC on her behalf! 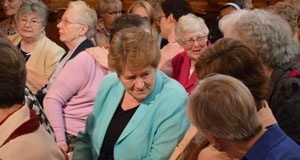 She was able to see the liturgy on Mercy Day on a friend's iphone just before her surgery and looks forward to seeing the archived pieces when she is able. She wants you to know that she has had very heavy surgery and is progressing very well in her recovery. She hopes to get out of ICU soon and will be in hospital a couple of weeks. She is very hopeful and encouraged and will await further reports for a complete diagnosis. 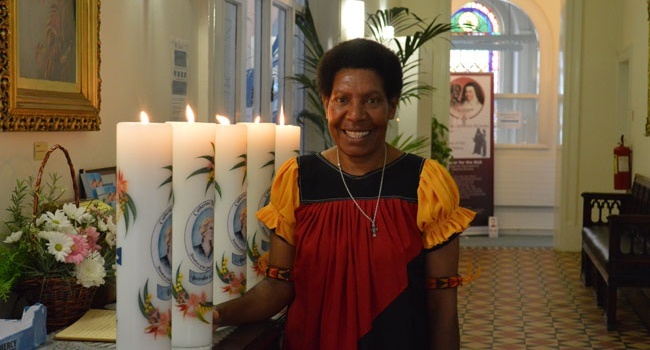 She is so grateful for your love, prayer and encouragement that she hears about through Patricia and Monica who are among you at Baggot Street. Please keep praying for her. A media release on the presidential visit was prepared by Srs Mary Reynolds (Executive Director MIA) and Adele Howard (Communications Consultant MIA) and distributed to the Irish Media yesterday. The release can be accessed here and Mercy communicators are invited to distribute it to your own media contacts. A list of the archived video streams is on the page linked to this item. 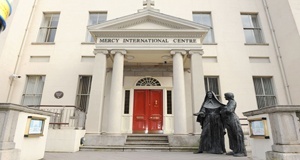 Thank you, thank you to all who are sending messages in response to the streaming of the rituals, the Mass, the events; for Mercy Day; in response to the presidential visit and for the week of celebrations. We continue to receive wonderfully thoughtful messages about the impact of the celebrations on those present online. These messages, in turn, are inspiring others to share their thoughts. 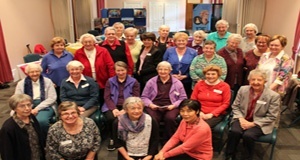 We are delighted to be hearing from 'all over' and continue to welcome your words and some images from your gatherings at home, if any are available. A reminder to login online 15 minutes beforehand to check your equipment. Tomorrow, 27 September will be a rest day to allow all of us time for reflection on what we have experienced over these celebratory days; time to catch up on archived video streams, time to compose and send a reflection/response/message for E-news and, most important of all - time to 'just be'. 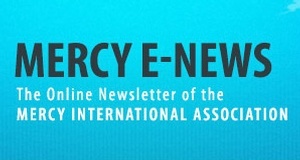 Mercy E-news will not be published tomorrow. The next issue will be published Sunday evening, 28 September.